A senior SaaS executive once told me, “Reports sell software.” In a top down sale, that’s absolutely true. The CEO wants better predictability of bookings so she’ll buy a CRM tool to gather the data. 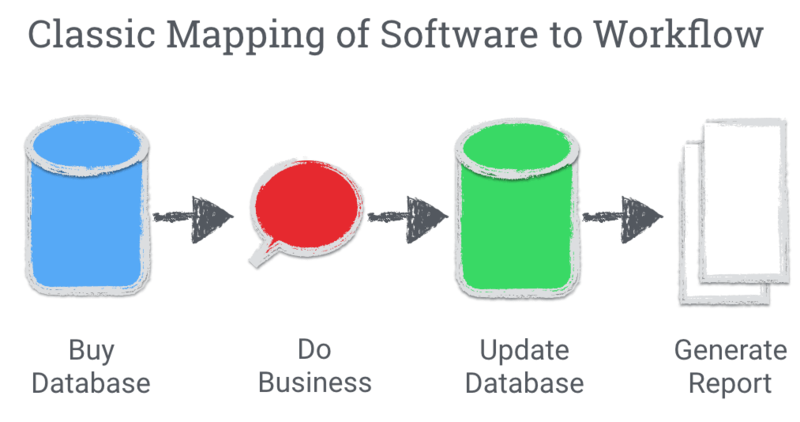 Classically, software has been built for that mantra. First, a company buys a database. The sales people, marketers or customer care staff continue working as normal. But after the purchase, these teams are burdened with an additional step of updating the database when they’ve finished their work, so a report can be generated. But this design has an agency problem. The employees investing the marginal effort see very little gain. This agency problem challenges the effectiveness of the software in three ways. In bottoms up sales, workflow sells software. And new SaaS companies who aim to displace incumbent systems of record will architect their products in a radically different way. They will be event-driven SaaS companies. 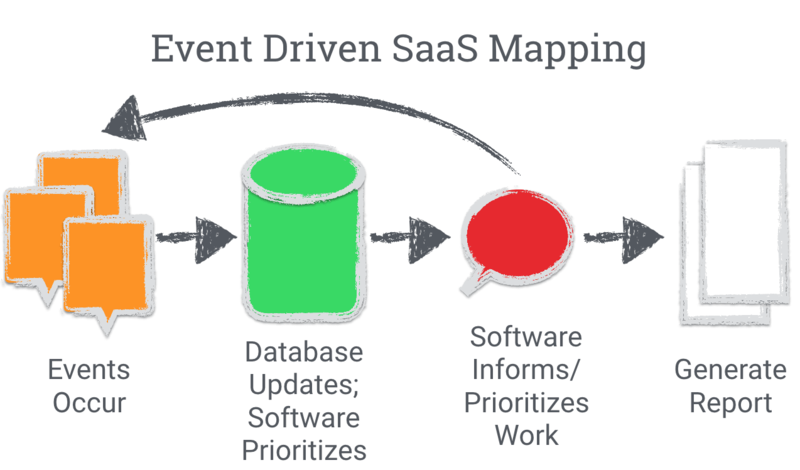 Event driven SaaS products consume events from data sources, data sources like social media, news, analytics data, marketing data, customer support data, sales data. All of these events are ingested via API and committed to the database. Day one, these new systems of record are filling themselves with data. Using this information, they prioritize and inform work to aid their teams be more effective. That can be by prioritizing which customers to speak with, automatically answering customer support queries or any number of things not yet invented. Critically, there’s a feedback loop. The users’ actions are themselves events that feed back into the database. Separately, the system generates a similar report. Event-driven SaaS products mitigate and ideally eliminate the agency problem of classic software. Users benefit directly from using it. The reporting is a by-product of an optimized workflow, and coincidentally is much more accurate than a classical system. This agency problem the heart of the adoption challenges of classical software deployments, and in particular of the dominant systems of record in the market today. The next generation of multi-billion dollar SaaS platforms, the startups who will displace incumbents, will do it with event-driven architectures and optimized workflows. Thanks to Manny Medina for inspiring this post.